Campus Kilpatrick has relocated to the Challenger Memorial Youth Center in Lancaster until further notice due to the Woolsey Fire. All staff and youth from Campus Kilpatrick are safe. 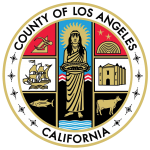 Please visit lacounty.gov/woolseyfire for the latest information about the wildfires in Southern California.